Have you struggled with keeping an editorial calendar? Are you looking for a good template for your editorial calendar? A few months ago we published an article asking if you, our readers, use blog article editorial calendars. As it turned out, we got a variety of answers. Some said that don’t use one at all. 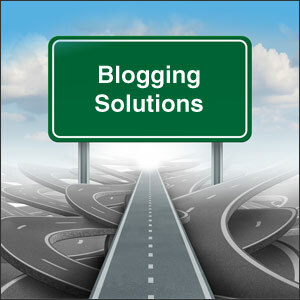 Some said that even have blog article plans for up to 3 months. Editorial calendars sound nice and are great in theory, but difficult to actually produce on a consistent basis. I couldn’t agree more with that. Editorial calendars take extra time, can feel suffocating and stifling. So after this post, I really drove into my own editorial calendars. Yes calendar with a plural “s”. I write for multiple blogs and I write 1-3 articles per week for each blog. Each blog has their own niche and each blog has its own concepts. That’s a lot of plate spinning. I’ll confess. I can go write without planning ahead and as long as I proof read, it’s still good stuff. Here’s the thing, when I fly by the seat of my pants, I suddenly notice I’m sweating more, wrinkling up my forehead, and watching the clock for some free time to go work. Flying by the seat of my pants STRESSES ME OUT. However, my issue is that I’m a super free spirited individual. Tell me I can’t do something, I start to really want to do it, even if I never wanted to before. I found a really great template and I say template because I had to adjust it to fit my own situation. I had to add a few Tuesdays, another Wednesday and extra Thursdays for each week. It goes by weeks. I’ll get into why how far I plan out now but I like to look at each week separately. It is super customizable. I have an all known editorial calendar that has all the blogs on it, but I also have separate slimmed down version for each blog. Hubspot has done a great job of putting together what you might want out of an editorial calendar. After a few months of inputting information into multiple editorial calendars, I have found that they work. What I mean by work is that it has taken a huge weight off my shoulders. I know there are topics already researched waiting for me to write about. I can sit and think before I write about them which has really added that something extra to my work. The truth is that it’s all about me. It is about getting my work done and done well. That is why I haven’t given up on my editorial calendars, and why I encourage you not to give up. They are worth the extra time. When using Hubspot’s editorial calendar I added sheets for every week in a month. That way I can look back on all the articles I wrote last month. Cut out what you don’t need and add what you do. Make it totally your own. I’ve gone so far to customize each blogs calendar. For example R & R Web Design LLC’s is blue and orange. I like to plan a month in advance. I haven’t gone past a month. I can barely think a month ahead in my personal life, let alone my work life. By looking at all the articles I need to write in the next month, I can plan themes and draw from what is currently happening without feeling stifled. It’s really all about what works for you. This is what works for me. My encouragement is to give it a try, because I think editorial calendars are helping to add years to my life. What have you found to be a disadvantage or an advantage to editorial calendars? Please share your thoughts in the comment section below. I’m so sorry you have been under the weather. For moments like that when I’m sick or someone in my house is sick, those are the moments I really rely on my calendars. Hopefully, with the start of a new month, you’ll be feeling better and you calendar can get you back on top of everything. I hope you feel better and thank you for commenting! I have a Google calendar that is my Editorial Calendar, Robin. It keeps me on track and makes it easy to type in a blog topic when I think of it. I don’t plan that far in advance due to the ever-evolving nature of all things social media. I never thought to use my Google calendar as my editorial calendar. I love the idea. Thank you so much for sharing.